Hey, remember that time Ales Kot wrote a mainstream comic for DC? What's that? 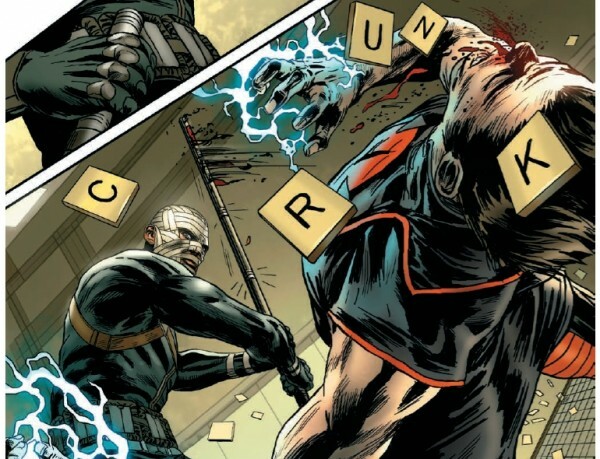 No, no, "Winter Soldier, "was a mainstream comic for Marvel. I'm talking about his extremely brief stint on, "Suicide Squad," where he took the floundering-about series and immediately turned it around. Well, he turned it around for the four issues he got to write--#20, #21, #22, and #23--after which he unceremoniously either quit or was kicked-off the book (it is unclear what exactly went down). Once he was done there was that, "Villains Month," business and then Matt Kindt came onto the book and did a solid job as he always does, but nothing at the level of his weirder and even better independent work (gotta love the, "Mind MGMT")! It is a shame Ales Kot's time with the Squad was so short-lived, as it was simply stellar (as others besides myself agree) injecting some of his trademark surreal storytelling yet also keeping things a bit more formal than some of his own works which can really get strange. Kot found the humor in this team of monstrous people to such a stellar degree that when I first saw the intentionally-funny trailers for the upcoming, "Suicide Squad," movie I immediately thought of his time on this comic, even if a chunk of the team is different than what is in the flick. Should the movie even be as marginally good as this short-lived run was, it could be a rip-roaring time. Now I'll just think about what could have been if Kot had kept writing this book.